Is Google Code using IIS? 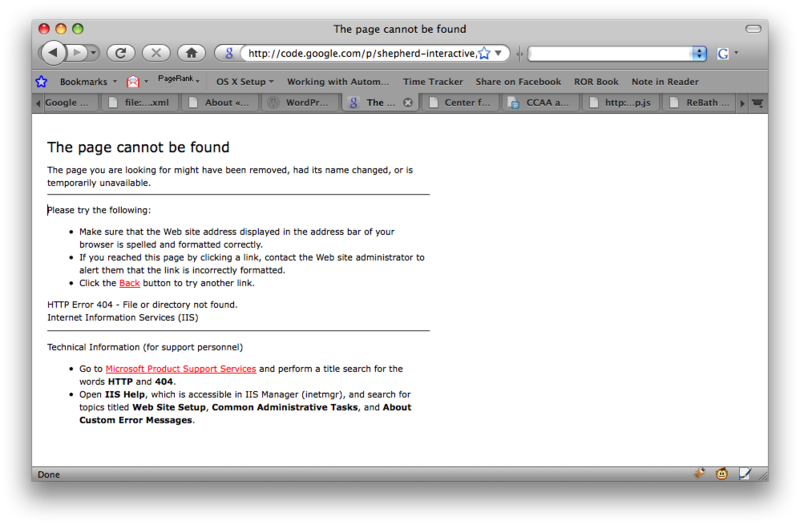 I was attempting to browse our Shepherd Interactive repository on Google Code this morning, and I was getting a 404 error (screenshot). What shocked me was that it was a Microsoft IIS “The page cannot be found” error message. Can it be? Is Google Code using IIS? Next PostNext It’d be better without Flash.